The Telegraph reports that the hapless, helpless and hopeless Mrs May’s latest political insight is that a vote of no confidence in her could stop Brexit. Clearly the Maybot has no sense of irony. She alone leads the government that has failed to deliver an opportunity for Brexit as enunciated in her Lancaster House speech and which corresponded with what the majority of the population who voted ‘Out’ understood Brexit to mean. She alone has been frightened of being premier of the fifth-largest economy in the world, one of the oldest democracies and one of just five permanent members of the UN Security Council. The UK is also home to at least two of the top five universities in the world (whichever way you count it), is the world’s centre for finance and has the ability amongst its population to generate more patents per every year than any other country. Oh, and we’re the only European country that has access to the Five Eyes intelligence alliance (the US, Canada, Australia and New Zealand being the others). And yet the Maybot never found the guts to walk away from the negotiations. As she once said (but clearly never believed) ‘No deal is better than a bad deal’. With hubris and chutzpah beyond the dreams of any novelist, having broken her promises she now expects the nation to accept that the Withdrawal Agreement will be fine, because it contains a European Union political promise. Bewilderingly, her cabinet (many of whom are fourth or fifth raters at best) accepted this on the grounds that if the government falls apart the ensuing election will be won by Jeremy Corbyn’s Labour. This is far more likely if they keep Mrs May in situ. Which of course is the key problem for those who would unseat Mrs May: with whom would you replace her? Let’s face it, the list of alternatives to David Cameron was so short that the Maybot won unopposed. 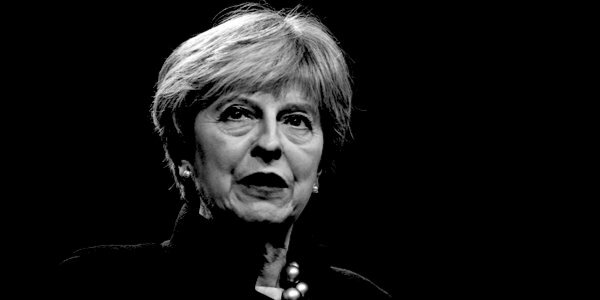 Whoever it is – and she still can be toppled if Brexiteers get their act together – needs to accept that no deal is the only acceptable option (and that does not preclude a subsequent deal once we have left). The new leader will need to be bold. Were it me (fat chance) I would exhort the businesses of this country (few of whom are members of the CBI) to go and get some sales, which is what they exist to do. The Conservative Woman gave some useful pointers yesterday. To help them I would cancel any taxation of the capital gains and dividend from new issue shares for the first holder of those shares (i.e. the person who invested in the company). If and when the Treasury mandarins bleat that this would lose them revenue, I would firmly point out that all government money actually belongs to taxpayers. If (or rather when) they continued to whine, I would suggest that, as the self-proclaimed best civil servants in the world, they focused their endeavours on delivery rather than briefing the BBC. As for the EU, I would remind them that they pushed us into this corner, and to the Republic of Ireland I would point out that I saw no need for the UK to build a hard border between North and South; if they choose to do so to please their masters in Brussels, fine. But if they care about such a border not existing, either they have to get Brussels to be reasonable (hah!) or get out of the EU. Either way, enjoy your problems but don’t make them mine. I spent my youth defending the West in the Cold War and the rule of law in Northern Ireland. If Mrs May thinks she can trample on me as blithely as she trampled the Oxfordshire wheat she is very wrong.